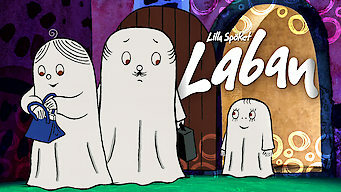 How to watch Lilla spöket Laban: Season 1 (2006) on Netflix Netherlands! The availability of Lilla spöket Laban: Season 1 on Dutch Netflix can be found in our listings below for each season. If the season/episode you want isn't available, you may be able to unlock it right now in the Netherlands and start watching! Change your Netflix country with a few simple steps and start watching. 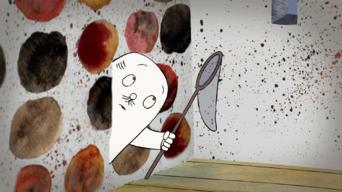 We'll keep checking Netflix Netherlands for Lilla spöket Laban: Season 1, and this page will be updated with any changes. 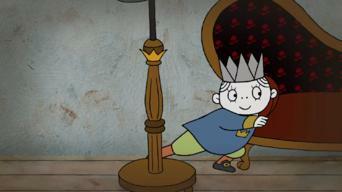 This animated series follows a friendly little ghost named Laban who lives in a castle with his family and has to learn how to haunt people. 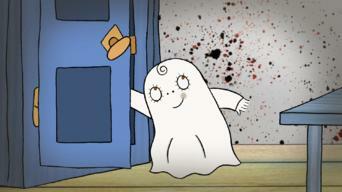 Little Laban the ghost is too nice to scare anyone. And too busy exploring ... and keeping his sister out of trouble! 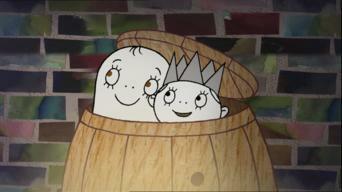 Season 1 of Lilla spöket Laban has 12 episodes. Because different Netflix countries have different availability for episodes, you'll need to check the episode listing below to see which are available in the Netherlands. Little Ghost Godfrey wants to be scary like his dad, but he's afraid of the dark; when Labolina disappears, Godfrey and the prince must find her. 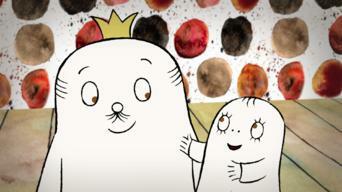 The Queen's friend is visiting, so Little Ghost Godfrey and the prince play a joke on her; Godfrey finds mysterious tracks in the garden. Labolina's doll is missing, so Little Ghost Godfrey and the prince search for it; when Santa comes to the castle, Godfrey is frightened of him. 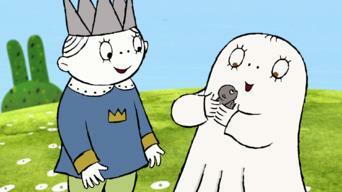 Little Ghost Godfrey and the prince must help Mother Ghost get rid of the hiccups; Godfrey tries to get through the dark night. 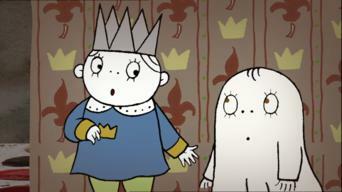 Little Ghost Godfrey and Labolina get lost in the woods; when Godfrey's dad gets sick, it's up to Godfrey and the prince to haunt the palace. Little Ghost Godfrey and the little prince go camping and tell ghost stories around the fire; Godfrey paints a scary portrait of his dad as a gift. 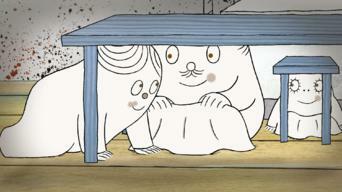 Little Ghost Godfrey and the prince want to have a picnic, but wind, clouds and rain threaten to ruin their day. 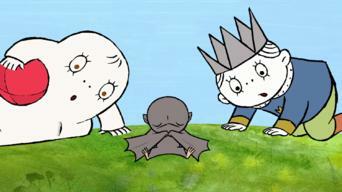 Godfrey and the prince find a young bat in a dark tower; when Little Ghost Godfrey paints a troll, the creature comes to life and wreaks havoc. 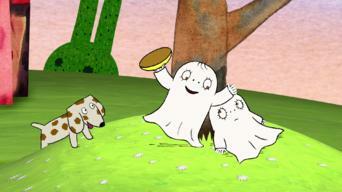 Little Ghost Godfrey insults his shadow, and it runs away; Mother Ghost's brother visits, and Godfrey discovers that they have something in common. With the royal family coming for dinner, Godfrey and Labolina bake a cake; Godfrey and Labolina need help choosing a gift for their parents. 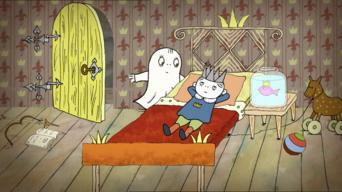 Little Ghost Godfrey sleeps over at the prince's, but things go wrong; Godfrey finds a curious new plant in the palace gardens. When Little Ghost Godfrey tells Labolina to be quiet, he gets more than he bargained for; Godfrey's entire family tries to scare the king.